We needed to get out of the house today. We’re all a bit tired and the back to school colds are doing the rounds so no one is quite on par. Why do we always leave all the jobs at home til the weekend? Must get more organised. After a teazy morning at home (whilst we tried to catch up on sorting out and the kids made their own fun by poking each other) a bit of fresh air was in order. 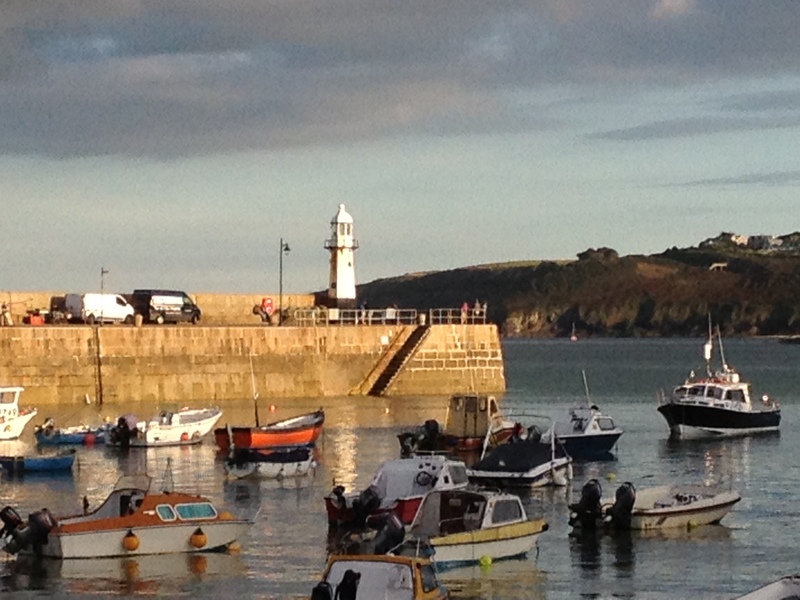 St Ives is a seaside town with 4 beaches a harbour and characterful, narrow winding streets. It’s been a draw for artists for many years and you’ll find lots of galleries, individual shops and places to eat. The front is a busy strip with all the usual sea side attractions. Watch out for the seagulls, they see it as their turf and your food as fair game. 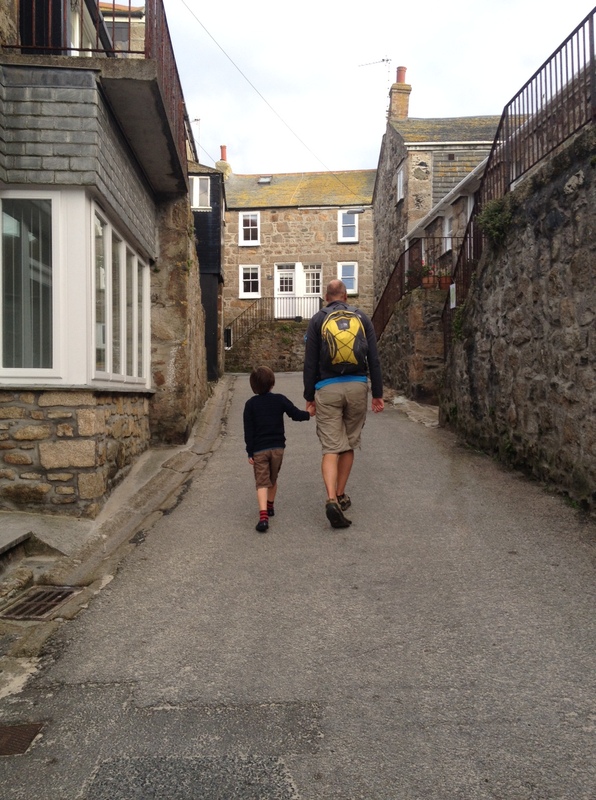 Today we took a walk along the front and round the headland, with a stop on Porthgwidden beach for a paddle and a picnic. I think the highlight for Eldest was watching the traffic warden give out a parking ticket. He’s since declared this his future career choice! Youngest was in her element with a bit of September Skinny Dipping. She just loves being in the sea. 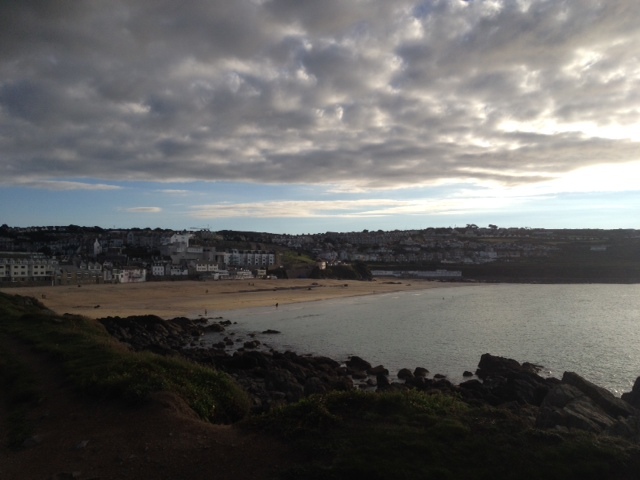 Parking: There are various car parks around St Ives. We usually park on the leisure centre car park at the top of the hill. 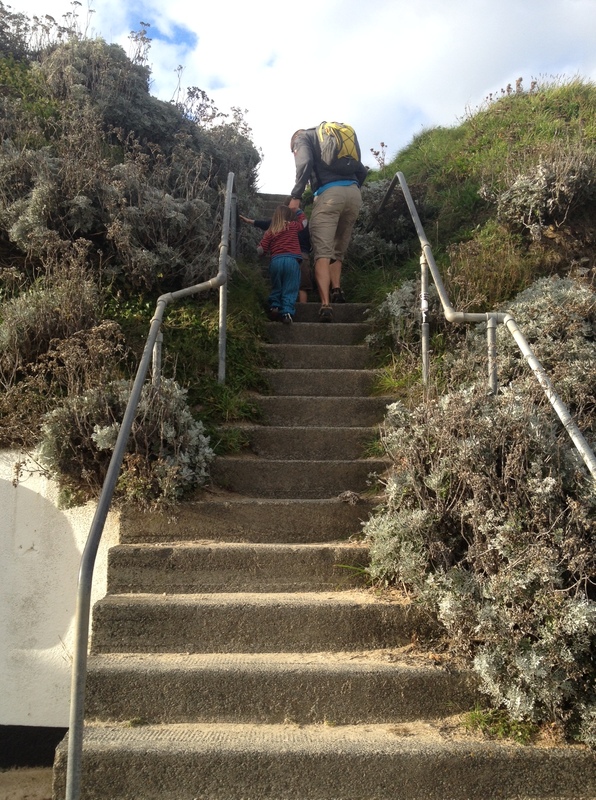 It’s very steep with a few steps (or an alternative, slightly longer route for pushchairs). There was a shuttle bus running today; £1 per adult 50p per child. I imagine this is seasonal. 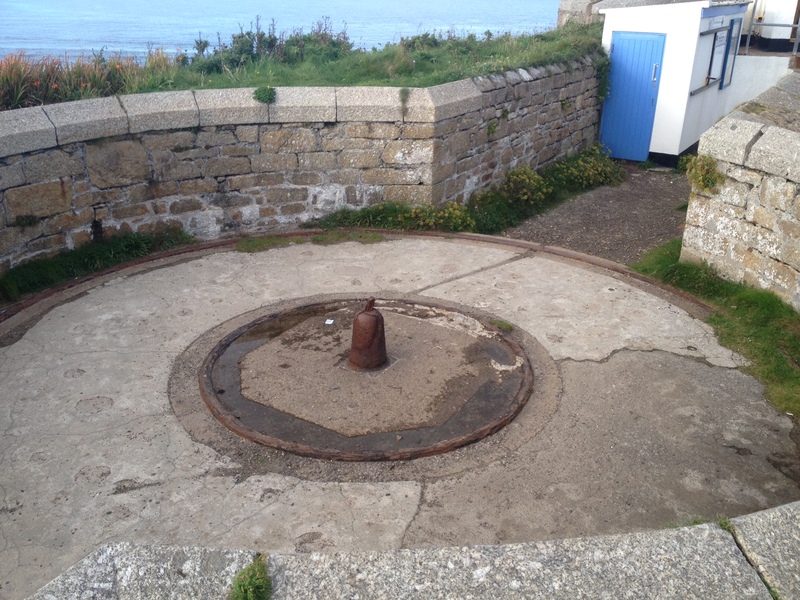 Toilets: There are public toilets in St Ives near the lifeboat station and around the harbour. Cafe: Lots of bakeries, cafes, restaurants, fish and chips etc. Pushchair suitable? 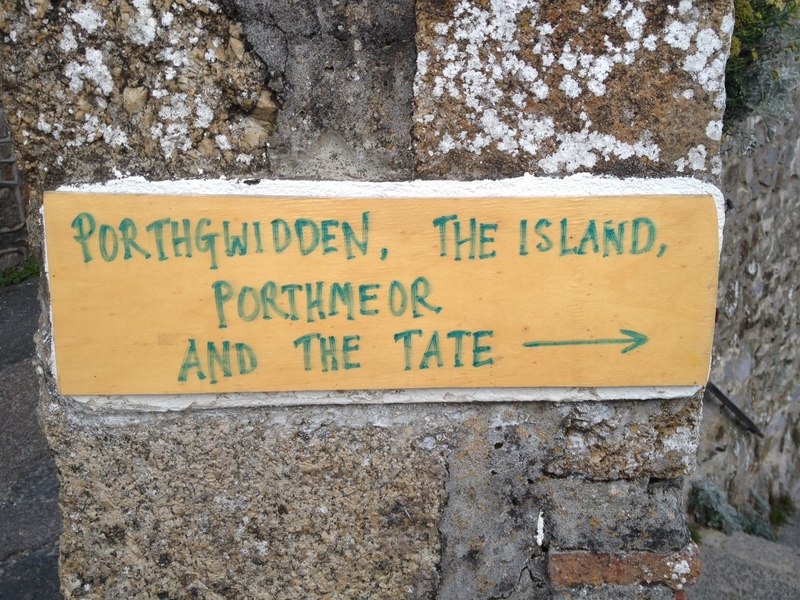 Yes if you follow the streets to get to Porthgwidden. The walk around the headland is smooth and flat. Time: As little or as long as you like depending on how much you want to explore. We spent a happy 4 hours today, but probably less than 1 hour walking in all. 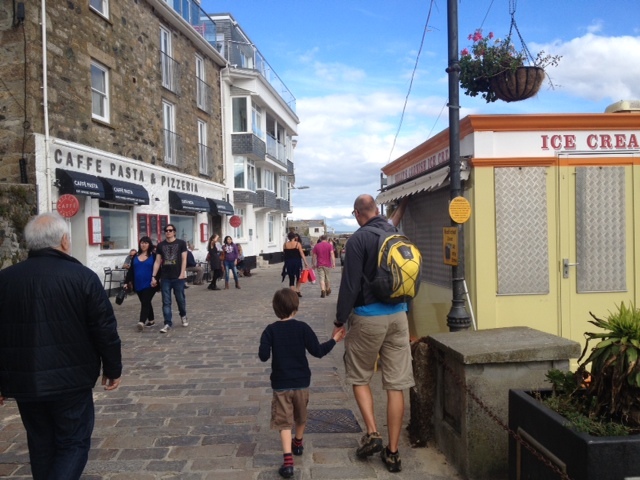 Walk along the front in St Ives with the sea on your right. Keep going and follow the road as it narrows and leads you past the harbour wall on your right. Just past here there is a place a to take in the view. There are toilets to your right. Turn to the left following the street and the sign for St Ives museum. Look our for the steps that take you down and round the corner of the headland beside the sea. Follow the path round, with the car park on your left. 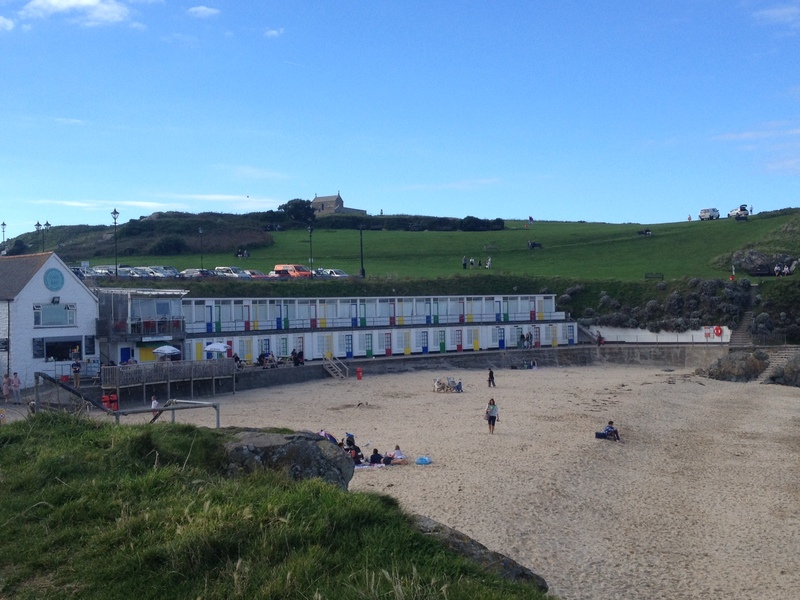 Soon you will see Porthgwiddan beach with its colourful beach huts and white café. 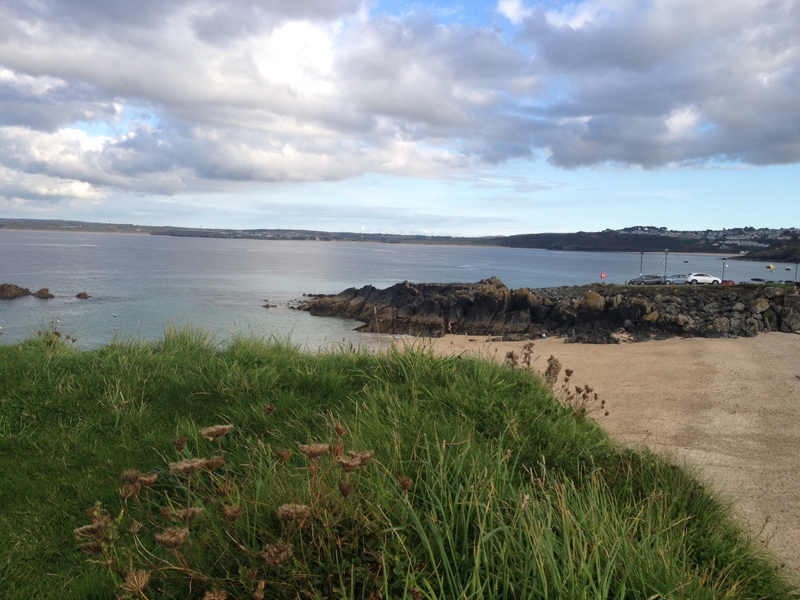 We eventually continued across the beach and up the steps to the headland, known as ‘The Island’. Find a path to take you up to the Coastguard’s look out. Here there are the remains of armaments from world war 2. Just below here there is a path that leads around the headland with the sea on your right. 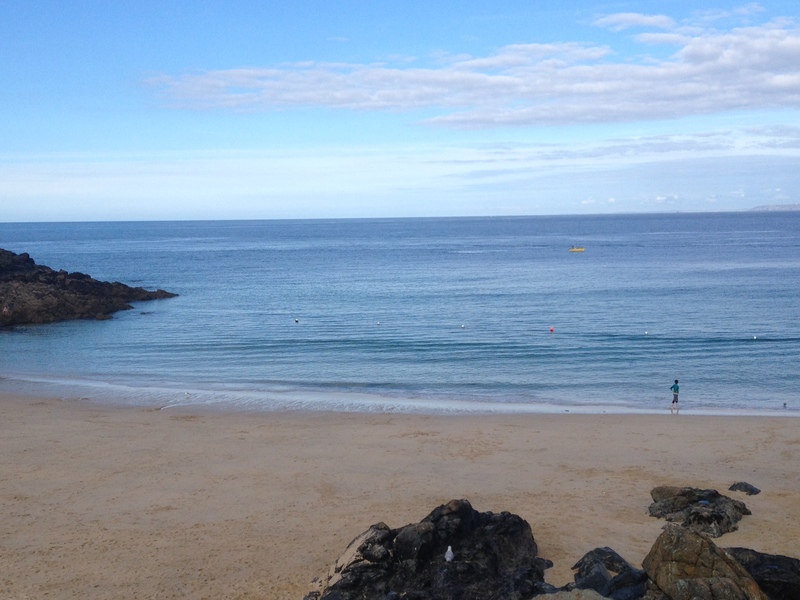 Round the corner you will see Porthmeor beach, a golden half mile of sand. To your left up on the hill is St Nicholas’ church. We didn’t explore up here today, but it looks like it would be worth the climb up the hill another time. 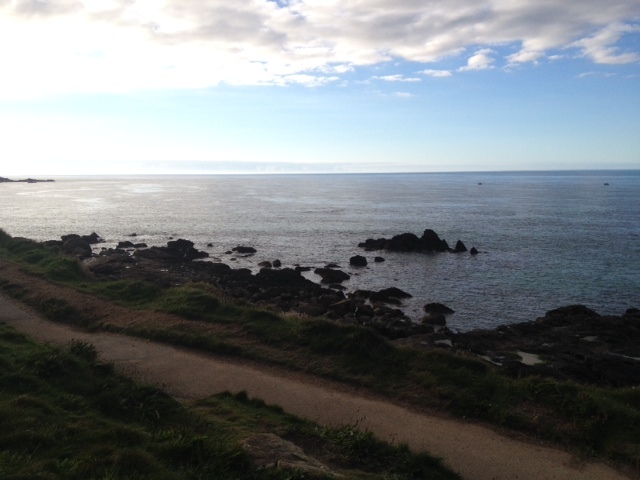 The path divides as you come towards Porthmeor. You can either continue on the smooth path to complete the loop of the headland, or take the stony path to the right which leads down towards the beach. There are steps down to the slipway, or a rather bumpy slope to the left if you’re using a pushchair. From here we wound our way back through the streets to the main part of town. 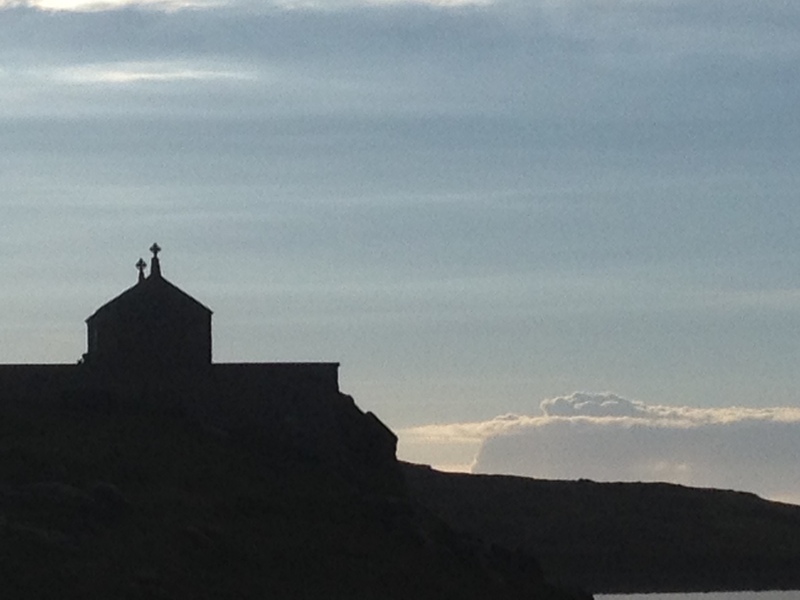 We sat and enjoyed the evening light in the harbour before the uphill climb to the car. The streets were bustling with people coming out for the evening as we were heading home. One final picture of Porthgwiddan, our favourite spot today.